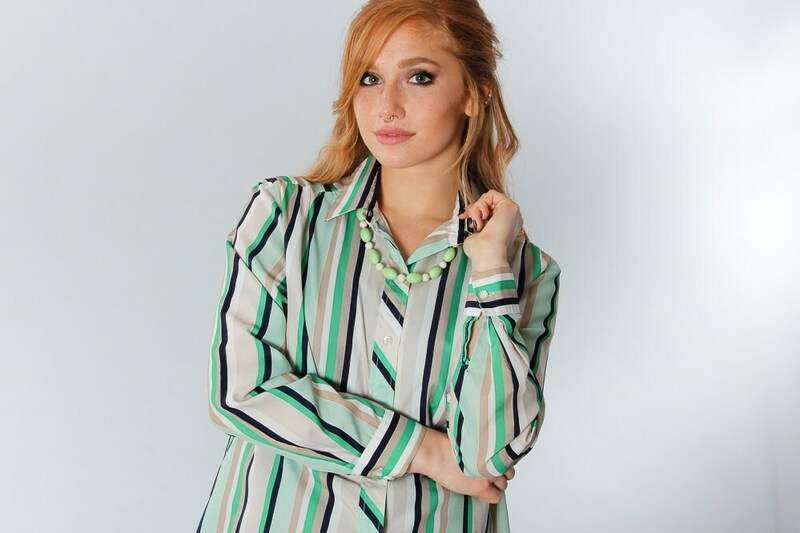 Striped button down blouse. Super cute 70s style!! Condition: good vintage condition. There is a small snag on the back of the top.